On May 26, 2012 at The Evergreen State College Longhouse, the Renaming Ceremony for “Bushoowah-ahlee Point” will take place on the Evergreen Beach at 3:00 pm. Please park in the Evergreen F Parking Lot and take a free shuttle to the Evergreen Beach to see the point and to participate in the ceremony. Afterwards at 5:00 pm, a community dinner will be hosted at TESC Longhouse, followed by a Salish Tribal Coastal Jam session. Bushoowah-ahlee Point sits on a cape on the property of the college (by the Geoduck House). The Evergreen State College, including Bushoowah-ahlee Point, is part of the land base that was ceded by the Medicine Creek Treaty Tribes (Squaxin Island, Puyallup, and Nisqually Nations) in 1854. The location for Bushoowah-ahlee Point has long been recognized as a meeting place for the Coast Salish people living on the southern inlets of the Salish Sea. Connie McCloud and the Puyallup Canoe Families will lead the Renaming Ceremony, along with other members of Medicine Creek Treaty tribes. The ancestral indigenous name “Bushoowah-ahlee Point” was requested in a joint application by The Evergreen State College and the Squaxin Island Tribe to identify the northernmost point of the campus on the Eld Inlet beach of The Evergreen State College. This application was approved by the US Board of Geographic Names and then released to the public in October 2011. “We changed this place name both out of respect for Native women, and out of respect for the language that has been spoken on this land since long before our state or campus was founded,” says Art Costantino, chair of the ‘Name Change Committee’ and vice president for student affairs at Evergreen. The committee included: Chair and Vice President for Student Affairs, Art Costantino; Longhouse Staff Members Tina Kuckkahn-Miller and Laura Grabhorn; faculty members Frances Rains and Zoltan Grossman; Raquel Salinas of First Peoples Advising Services; Native students Derek Jones and Shonri Begay, and College Engineer, Rich Davis. The ‘Name Change Committee’ consulted with the Squaxin Island Tribe, with whom Evergreen has a long-standing and valued positive relationship. The State of Washington encourages state agencies to work directly with tribes -- on issues such as this name change -- as part of the 1989 Centennial Accord and the 1999 New Millennium Agreement, which encourage government-to-government collaborative actions that benefit both entities. Evergreen honors these government to government relationships established by the Centennial Accord and affirmed by the Millennium Agreement (see www.goia.wa.gov) through its partnership with the Squaxin Island Tribe. Squaxin Island Tribe appointed Lushootseed language scholar Zalmai Zahir to research the ancestral name of the area. Mr. Zahir had worked for many years with the late Vi Hilbert (Upper Skagit) who was the region’s primary Lushootseed language expert and scholar on indigenous place names of the region around the Salish Sea. Mr. Zahir documented the original place name in Thomas Talbot Waterman’s 1922 book Puget Sound Geography. Waterman was an anthropologist who was most interested in recording Native languages and cultures and depicting how those languages appeared phonetically. He traveled widely in the area and among the many things he collected, he also collected geographic names. A recent reproduction (by Vi Hilbert, Jay Miller, and Zalmai Zahir) contains Waterman’s original manuscript. T.T. Waterman lists the name of the point as B1cuwa'3ali, (1= uh, c=sh, and 3= glottal stop in his orthography). The name Bushoowah-ahlee is very old and there isn't a comparable English translation. The Squaxin Island Tribe has requested that the phonetic spelling of the name in the Roman alphabet be officially adopted, rather than the Lushootseed alphabet. The ancestral name, Bushoowah-ahlee Point serves as a reminder of the history of this place that goes much further back in time than the mid-nineteenth century and offers a the chance to appreciate the area as it was originally known. 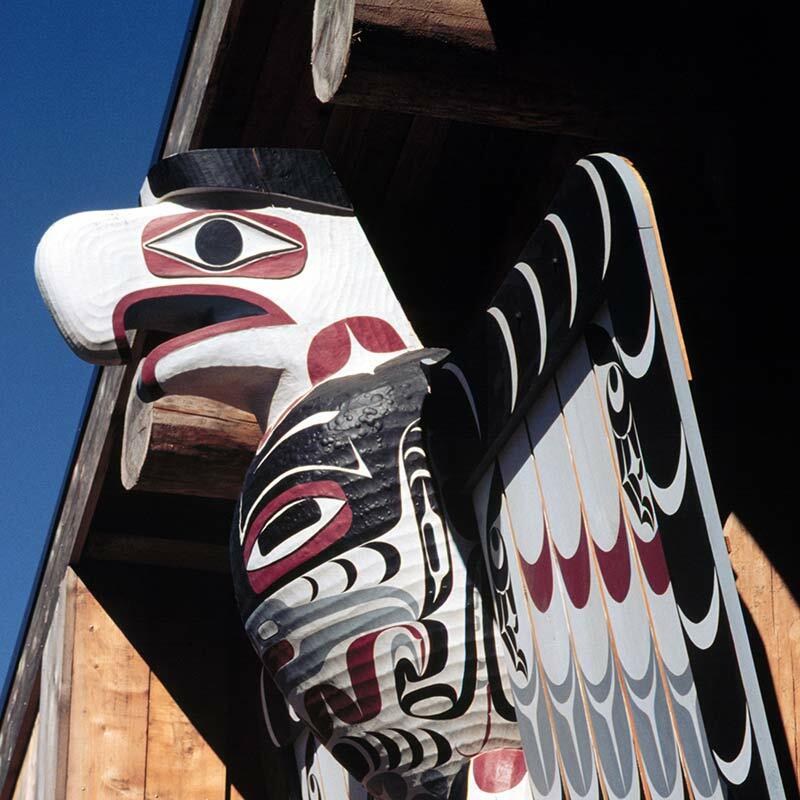 If you have Salish historic stories about Bushoowah-ahlee Point and are willing to share these with the Longhouse, please contact TESC Longhouse Director Tina Kuckkahn-Miller or by calling (360) 867-5344.